Plot: The story of an outsider from another planet who has Jesus like abilities - based on the comic of the same name. 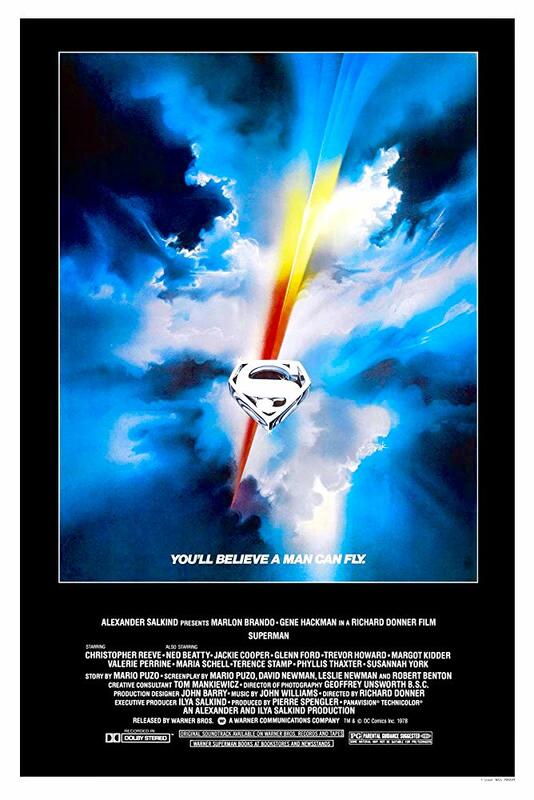 Superman (1978 film) still remains as the best Superman movie ever made. The visual effects may be dated today, but I still find some scenes visually impressive and it uses the CGI very well. Christopher Reeve is fantastic as Superman, because he made the character his own while respecting the source material to the character. Oh and let's not forget about John Williams amazing score. Superman is Still the best Superman movie ever made. Richard Donner's epic-sized treatment of the big blue boy scout has aged surprisingly well since 1978 though it still has some flaws that reveal its age in some instances. Produced when no one ever believed a comic book movie would be a hit let alone successful (Que Nelson's laugh) Donner does a bang-up good job while Christopher Reeve embodies all the charm, kindness, and all-around decency that people would expect from his iconic character. The supporting cast is what makes it watchable after all these years with the likes of Margot Kidder, Jackie Cooper, Glenn Ford, Gene Hackman, and Marlon f**king Brando giving great performances as classic characters like Lois Lane, Perry White, Jonathan Kent, Lex Luthor, and Jor-El. Jor-El believes that planet Krypton will explode so he launches a spacecraft with his son Kal-El towards Earth. Jonathan and Martha Kent adopts the child and names them Clark. He becomes a reporter and falls for Lois Lane. Reeves just makes you believe in the hero's sincerity, Hackman as Luthor could have been realistic if he became bald. The light plot but action sequences were decent. No posts have been made on this movie yet. Be the first to start talking about Superman!